Photo source: GSquared Weddings. See below for more info. Planning a wedding can be both fun and overwhelming—and amidst deciding who will be invited, ogling dresses, and fantasizing about floral plans, it can be easy to forget to deal with one decision that’s critical to make early on: your wedding photographer. Long after the carefully crafted centerpieces have been forgotten, you’ll want gorgeous photos to remind you and your partner of the day you embarked on life together. Great wedding photographers are in demand and book up early, and getting the right photographer will make all the difference. But how do you choose? One quick Google search of “Seattle wedding photographers” yields a plethora of results—and the idea of digging through can be daunting. Luckily, we have a great eye for aesthetics and know some of the best. Here are our favorite local wedding photographers! Authentic, adventurous, down-to-earth. These are the words Kelly Lemon’s clients use to describe her photography style—and if you’re looking for artistic but not “overdone” wedding photos, she may be the one for you. This Wedding Wire Couple’s Choice 2017 and The Knot “Best of Weddings” winner boasts 14 years of wedding photography experience, a willingness to travel, and a fun and friendly “camera-side” demeanor that will put you and your guests at ease. From traditional Asian ceremonies to engagement announcements, Jerome Tso does it all—and has over 400 weddings under his belt. 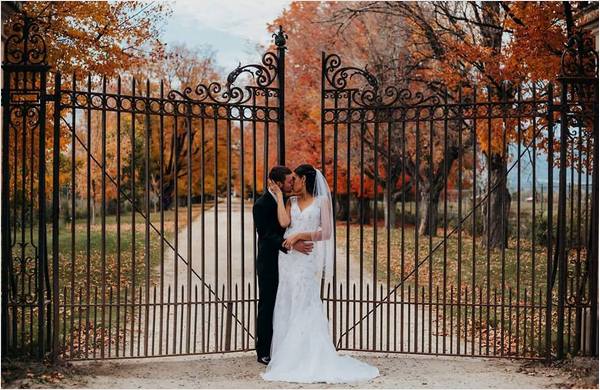 We may be biased, but we’re big fans of Ioana of Ionescu Photography! Not only is she a fantastic photographer, she also used to work with us here at Anderson Sobel Cosmetic Surgery. While we miss seeing her smiling face, we love that she’s following her passion and helping capture her clients’ special moments. Looking for an all-star team you can trust? GSquared Weddings is comprised of power-duo Kate and Josh, who love adventure and creativity—and who will bring that and more to your wedding photos. They love creating an earthy style that fits great with outdoor Seattle weddings, and they would love to get to know you as you discuss all your hopes and dreams for your big day. John Crozier is fun, energetic, and creative, and his photography portfolio matches all of those characteristics. His passion for photography shines through every time the shutter clicks, and his happy list of clients are consistently thrilled with their results. Who are your favorite local photographers? Let us know in the comments below! And if you’ve chosen your photographer but are looking for some tips for getting “photo-ready,” we’ve got you covered.